Availability for the GTX 1000 series cards is severely hit by shortages at all major retailers, driving prices to nearly double MSRP due to increased cryptomining demands. Nvidia is now trying to appease the angry gamers who cannot find decent supplies by limiting orders from major retailers to 2 products per person. Additionally, Nvidia is also selling the GPUs on its official site. There was a time when Bitcoin was minable only with GPUs and CPUs, but then specialized hardware like ASICs was released and Bitcoin became unprofitable for small time miners. However, the cryptocurrency landscape is so diverse now, that coins like Ethereum, ZCash and Verge were designed to be ASIC-resistant and still retain their profitability when mined with GPU rigs. While Nvidia is certainly not against cryptomining, it does admit that the GPU shortages do not inspire a great market position. The GTX 1000 series is particularly efficient at mining ETH and, because of great demand, retailers are forced to immediately sell everything once they restock. This is a big problem for people who are looking to build new gaming rigs, and Nvidia is clearly aware of the situation. In an effort to limit the GPU shortages and reset MSRP prices that have alarmingly increased over the last several months, Nvidia is now asking all its retailers and partners to focus on the demands of the gamers. In order to rebalance the situation, Nvidia began selling the GTX 1000 GPUs directly on its website and strongly advises all retailers to limit all online orders to two products per person. When asked about the new strategy in an interview conducted by ComputerBase.de, Nvidia answered that for the company, “gamers come first. 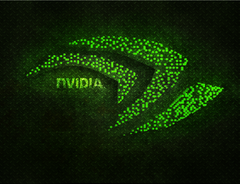 All activities related to our GeForce product line are targeted at our main audience. To ensure that GeForce gamers continue to have good GeForce graphics card availability in the current situation, we recommend that our trading partners make the appropriate arrangements to meet gamers’ needs as usual.“ Nvidia is aware that retailers can simply ignore their recommendations, so the company decided to take matters into its own hands and make the GPUs available on the official website. Apparently, Nvidia values more the loyalty of their gamer customers rather than possibility of getting more money from miners whoa are willing to pay a premium for GPUs. At least the green company is trying to drop the prices close to the original MSRP and that should benefit everyone.